They were novelists and scientists, playwrights and polyglots. Teenagers all, they gathered Thursday to bask in the collective glow of their supersized achievements at the 2018 Pathfinder High School Scholarship Awards. 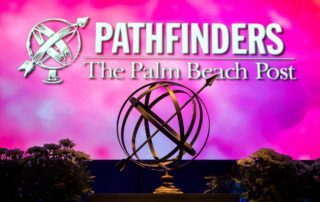 Each year, the event, sponsored by The Palm Beach Post, is an awe-inspiring get-together of the region’s most impressive high school students. This year – the annual event’s 35th iteration – was no exception. Tim Burke, The Post’s publisher, kicked off the event by giving the graduating seniors “some grown-up advice” while citing achievements from the students themselves. Burke went on to joke, “so, keep on texting even as I’m talking,” which drew laughter from the crowd. Then the awards were under way as “the best of the best,” as Burke described the 600 scholars, waited to see if they were winners. Take Robert Linck, the Oxbridge Academy senior who won the evening’s “Academic Excellence” award. In addition to rigorous coursework and a top national ranking as a debater, he spent two years studying the effect of malfunctioning septic systems on algae growth in Florida estuaries. Interning at a biotechnology research laboratory, he became one of the first researchers to use a particular spectroscopic technique to study water. 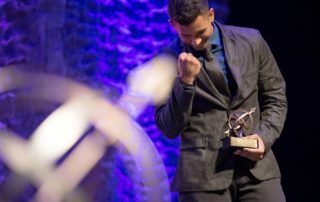 Or take Carlos Rivera, the Atlantic High senior who won the evening’s “Communications” award. He has written two self-published historical novels – including one he began as a fourth-grader – and is working on a third. He wrote and produced an amateur film and then a shorter prequel to it. And he publishes regular video essays about famous films. 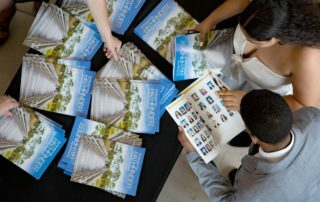 Out of 561 nominees in Palm Beach and Martin counties, 54 students were recognized in 18 categories ranging from literature and art to science and athletics. First-place winners won $4,000 scholarships, with $3,000 and $2,500 scholarships awarded to second- and third-place winners, respectively. 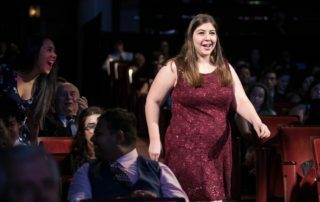 The honored students accepted their awards to applause in the glitz and pomp of a packed Kravis Center auditorium. Veronica Washington, a Park Vista High student, did not join her school’s chorus until her junior year but quick shined as a vocalist. That year, she received “best of show” and a critics’ choice award at a thespian festival competition. She has performed at Carnegie Hall in New York and at Walt Disney World. She also choreographs dances for her church, participates on a debate team and teaches Sunday school classes. Kailey Graziotto of The Benjamin School founded a writing club that performs and produces award-winning writing. 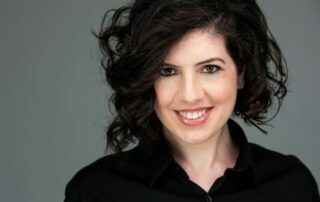 But as Graziotto wrote in her application letter, she sees her writing passion as part of an evolving journey. “Though I have no idea where this path will lead in the long run, my ultimate goal will always be to write work that serves as a catalyst for social change,” she wrote.